The main vehicles used for private equity funds in Italy are investment funds organised as a collective investment scheme structured as a separate pool of assets (FCIs) or funds structured as corporations, namely variable capital investment companies (SICAVs) or fixed capital investment companies (SICAFs). An FCI is a collective investment scheme, typically managed by an external Italian asset management company (SGR). Assets in FCIs are separate for all purposes from the assets of their investors, the SGR and any other assets managed by the same SGR. A SICAV is an open-ended investment fund in the form of an Italian joint-stock company with variable capital, whereas a SICAF is a closed-ended investment fund in the form of an Italian joint-stock company with fixed capital. Both these corporations are formed for the exclusive purpose of collective investment of assets and they could be managed internally by their internal governing body or externally by an SGR. Each of the above-mentioned legal vehicles also typically qualifies as an Alternative Investment Fund (AIF) pursuant to European Directive No. 2011/61/EU on Alternative Investment Fund Managers (the AIFMD), as reflected in the Italian legal framework. Until very recently, it was unclear whether private equity funds structured as FCIs could be deemed to have legal personality. Often, FCIs’ assets and legal relationships were considered separate from those of the investors and of the managing entity but not directly owned by the investment fund itself. A very recent decision by the Milan tribunal (No. 7232/2016) instead established that private equity funds should be considered as entities with their own legal personality, thus entitled to own in their name all the assets of the investment funds. The formation of a private equity fund generally requires the adoption of the fund rules or the articles of associations or by-laws of the relevant entity, the appointment of the management entity and, in certain situations, the approval by the Bank of Italy of the fund governing documents. FCIs that are reserved for investment by professional investors may be formed relatively expeditiously by authorised SGRs, subject only to the adoption of appropriate fund rules and a notification to the Bank of Italy. specific integrity requirements for persons holding a controlling interest in the investment funds. As regards FCIs, corporate requirements similar to those listed above apply to their SGRs, as mentioned in question 12. In addition to corporate law requirements, the formation of an AIF also requires a prior authorisation by the Bank of Italy of the Italian AIF manager. It should be noted that, pursuant to the AIFMD passport, European authorised managers may also carry out management activities in respect of Italian private equity funds, based on their home European State authorisation and subject to a prior notification to the Italian competent authorities (see question 12). As a general rule, the involvement of a public notary is not required in the formation process of a private equity fund; however, as the SICAVs, the SICAFs and the asset management companies for FCIs are joint-stock companies, the formation of these entities requires a notarisation of their formation deed and the relevant publication in the Italian commercial register. The assets of Italian private equity funds (retail or non-retail) must be held through a separate local custodian authorised by the Bank of Italy to provide depositary services to investment funds. Italian law expressly requires that fund managers appoint a depositary for each investment fund they manage. The depositary is liable in accordance with Italian law towards the fund manager and to fund investors for any loss suffered by them as a result of the depositary’s wrongful failure to perform its obligations. Italian private equity fund managers are registered in the official list of regulated investment vehicles maintained by the Bank of Italy and must maintain a registered office in Italy. They are required to maintain books and records of each fund they manage in accordance with the provisions of the applicable law. In general, fund administration is not a regulated activity in Italy. However, investment fund managers may outsource essential or important operations, services or activities, to fund administrators only to the extent that the administrators are qualified to manage the delegated functions with the diligence required by the nature of the assignment and as long as such fund managers remain responsible towards the investors for the actions of the delegated subjects. Fund managers must retain the ability to supervise the delegated third parties at all times, so as to be able to give further instructions with regard to the delegated functions at any time, and revoke such mandate with immediate effect, if and when appropriate to protect the interests of investors. Fund managers wishing to delegate to third parties specific duties related to the performance of their services are generally required to inform the Bank of Italy and the Italian Stock Market Regulatory Authority (Consob) of such intention. As private equity fund managers are typically registered with the Italian commercial register, certain information about the managing entities is a matter of public record. However, as regards AIFs, no information on the identity of the investors or their commitments is disclosed or accessible by third parties. Notwithstanding the interpretation of Italian courts on the principle of the legal personality of investment funds (see question 1), the limited liability of the investors has always been an undeniable milestone of the Italian legal framework, irrespective of the legal form of the private equity fund and of its regulated or non-regulated structure as well as any specific rule applicable to any investor pursuant to its respective country of incorporation. In fact, the liability of non-managing investors is limited to the amount of their commitment to the investment fund and in no event may investors be requested to contribute to the investment fund or to any third party any excess amount. The decision by the Court of Milan (No. 7232/2016) described in question 1 confirmed the principle of the limited liability of the investors. 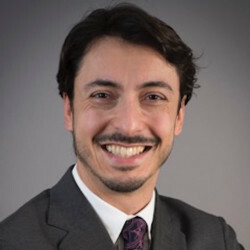 As a general rule, Italian fund managers are liable toward both private equity funds and their investors pursuant to Italian general civil law principles, for the execution of the mandate entrusted to them and for any misconduct in the management of the corporate affairs of the managed investment fund (misconduct does not necessarily imply a fault on the part of the fund managers, who may incur liability for their passive attitude, their negligence or their carelessness). The fund managers’ fiduciary duties are governed by the same duty-of-care standard to act as a ‘bonus pater familias’ in similar circumstances for the execution of a similar mandate, as set forth in the Italian Civil Code: in particular, fund managers must act in a professional manner, with the diligence that can be expected from a prudent and diligent person with expertise in the management of private equity funds, and must comply with the relevant investment policies and constitutive documents. Generally, such ordinary level of fiduciary duties may not be modified by an agreement among the parties nor treated differently in the constitutive documents of the private equity funds. Nevertheless, the governing documents of a private equity fund may provide for higher standards of fiduciary duties. It is also possible to limit the liability of the fund managers towards the investors or the investment fund by contractual provisions or in the formation documents of the private equity funds, excluding the fund managers’ liability for ‘ordinary negligence’. As most Italian private equity funds qualify as AIFs, the fiduciary duties set forth in the AIFMD also apply to Italian AIF managers, and they may not be opted out of, or minimised by, contractual provisions among the parties. Such fiduciary duties require the Italian fund managers, inter alia, to act honestly, with due skill, care and diligence and fairly in conducting their activities, and in the best interests of the AIFs or the investors of the AIFs they manage and the integrity of the market; to have and employ effectively the resources and procedures that are necessary for the proper performance of their business activities; to take all reasonable steps to avoid conflicts of interest and, when they cannot be avoided, to identify, manage and monitor and, where applicable, disclose, those conflicts of interest; to comply with all regulatory requirements applicable to the conduct of their business activities; and to treat fairly the investors in an AIF. Yes, as mentioned, Italian law distinguishes between ‘gross negligence’ and ‘ordinary negligence’, as described in question 6. There are several restrictions or requirements to private equity fund vehicles depending on the legal form of the vehicle and on whether they qualify as AIFs or not. For example, according to Italian law, certain restrictions apply to transfers of interests in Italian managers of private equity funds, as mentioned in question 26. Also, Italian private equity funds are subject to certain diversification and borrowing limits. In general, Italian regulations do not allow limited partnerships formed in other non-European jurisdictions to redomicile in Italy. Specific rules are provided with respect to cross-border mergers. European private equity funds do not need to redomicile as long as a European passport is in place (see questions 12 and 24). As discussed in question 5, investment funds’ assets are separate from the assets and liabilities of its managing entity and, as a result, the bankruptcy, insolvency or similar events at the level of the manager do not affect investment funds’ assets and the interests of the investors. However, the governing documents of the investment fund generally set forth the consequences of any such event of default at the level of the manager, which may include the right of the investors to terminate the investment period of the investment fund, to replace the manager or to liquidate the investment fund. Consob and the Bank of Italy are the principal regulatory bodies that have authority over private equity funds and their managers. They both have very wide-ranging inspection rights on SGRs. Specifically, the Bank of Italy is mostly responsible for the risk containment, asset stability and sound and prudent management of private equity funds and fund managers, whereas Consob is responsible for the transparency and correctness of their conduct. These authorities operate in a coordinated manner and notify each other of the measures adopted and the irregularities discovered in carrying out their supervisory activities. Both the Bank of Italy and Consob have the ability to fine private equity funds and managers in the event of compliance, administrative and reporting irregularities, by taking the relevant and appropriate measures. In addition, in the event that the tenure of the corporate representatives of asset management companies, SICAVs and SICAFs is detrimental to the sound and prudent management of these qualified subjects, the Bank of Italy may order their removal. the main categories of assets in which the AIFs have invested. the total amount of leverage employed by the AIF. Both the organisation of private equity funds and the activity of fund managers are subject to licensing processes and to compliance with specific requirements pursuant to Italian and European laws and regulations. These processes and requirements differ based on the features of the manager, the type of the investment fund and the prospective investors. In general, with respect to private equity funds, the Bank of Italy must approve the fund rules of the investment funds (other than for AIFs reserved for investment by professional investors), as well as the relevant amendments. Private equity funds managers must be authorised by the Bank of Italy, as described in question 12. Special authorisation requirements apply to managers of European Venture Capital Funds, European Social Entrepreneurship Funds, European Long-Term Investment Funds and Packaged Retail Investment and Insurance Products developers. The activity of fund managers is subject to licensing and compliance processes pursuant to Italian and European laws and regulations. These processes and requirements differ based on the features of the manager, the type of the private equity fund and the prospective investors. appropriate organisational and functional structures, as indicated in a specific report to be prepared for the benefit of the Bank of Italy. After formation of the fund management entity and once these requirements are complied with, an authorisation request is submitted to the Bank of Italy. If all requirements and conditions are fulfilled, after a 90-day period from the submission of the request, the manager is expressly authorised by the Bank of Italy and listed in a special register held by the Bank. The requirements described above apply to fund managers established in Italy. As a general rule, a foreign manager is not entitled to perform management activities or provide asset management services to Italian investors without complying with certain specific requirements pursuant to applicable Italian and European regulations. Such requirements differ depending on whether the overseas manager is a European or a non-European entity, and whether such manager is already authorised in its own country (the home country) as an AIF manager under the AIFMD. The performance of asset management activity in Italy by an authorised European fund manager requires a notification to the Bank of Italy by the competent authority of the home country of such fund manager. Upon enactment of the Italian regulations on cross-border operations for authorised non-European investment fund managers, the Bank of Italy will list non-European fund managers authorised to perform services in Italy in a special section of the register held by such authority. Managers of retail as well as non-retail private equity funds are subject to specific organisational and governance requirements that are intended to ensure sound and prudent management, risk mitigation, proper accounting reporting obligations and the resolution of conflicts of interest. a permanent internal corporate body with internal audit functions that maintains and evaluates the adequacy and the effectiveness of the internal control mechanisms and arrangements (with respect to non-retail investment funds, managers falling within the AIFMD’s definition of below-the-threshold fund managers could combine the internal audit and risk management/compliance functions in one body). Each of these functions (which, based on the size of the investment fund managed by the fund manager, either may or may not have to be entrusted to separate internal bodies) and related internal policies are also subject to periodic update and review. In addition, fund managers are subject to several organisational and capital adequacy requirements such as the fulfilment of sound administrative accounting procedures, control and safeguard arrangements for electronic data processing and adequate internal control mechanisms including, without limitations, rules for personal transactions by their employees or for the holding or management of investments in order to invest on their own account. With respect to the periodic reporting requirements imposed on the fund managers, see question 10. The Italian rules applicable to public and private political contributions have been recently amended. The applicable legal framework set forth specific limits and disclosure covenants with respect to political contributions, however there are no rules specifically applicable to managers or advisers of private equity funds. There are no specific rules in Italy governing the marketing of regulated or non-regulated private equity investment vehicles to public pension plans and other governmental entities. it is also subject to concentration limits and other organisation requirements, depending on the type of the investment. Banks can also be affected by internationally driven changes to European legislation and the legislation of foreign jurisdictions, such as the Basel III regulations providing for stricter capital requirements for banks and classifying private equity as a high-risk operation. Pursuant to the provisions of article 73 of the Italian Tax Code (Presidential Decree No. 917 of 22 December 1986, as amended from time to time), Italian private equity funds are treated as tax-neutral for Italian corporate income tax purposes provided that they, or their management companies, are subject to any form of supervision. Thus proceeds (dividends or capital gains) realised by them are exempt from Italian income taxes and could be received gross of any Italian withholding or substitute tax. In line with the interpretation of the Italian Tax Authority, investment funds resident in Italy are entitled to the application of double tax treaties (DTT), as mentioned in question 22. The tax regime for investors depends on both the type of proceeds and investors as well as on the tax residence of the investors. Italian-resident investors are generally subject to a 26 per cent withholding tax on the distribution of proceeds by Italian private equity funds. As a general rule, corporate taxpayers who are resident in Italy according to Italian tax law are liable to corporate income tax (at a rate of 24 per cent for the time being). Foreign investors, resident in countries that allow an adequate information exchange with Italy (the ‘white listed countries’ (WLC)) may obtain exemptions from taxes on some capital income and different income of a financial nature, as discussed in question 18.
is a central bank or organisation managing official state reserves. In the event of other foreign investors, a 26 per cent final withholding tax is levied by the private equity funds or the relevant management company on capital income, potentially reduced under any DTT, if existent and applicable as described in question 22. 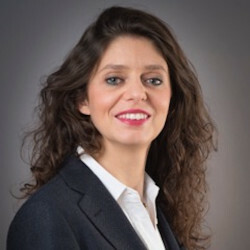 On 21 March 2016 the Italian Tax Authority updated its administrative provisions for the implementation of new rules on advance tax agreements for enterprises with international activities. According to these provisions, all enterprises with international activities may enter an advanced tax agreement with the Italian Tax Authority on specific subject matters, regarding, among others, transfer pricing and permanent establishment issues, application of company migration rules, taxation of inbound and outbound dividends, interest, royalties, etc, according to domestic legislation and DTT provisions. After reaching an agreement with the taxpayer, the Italian Tax Authority issues a tax ruling, which is binding and remains in place for five fiscal years (potentially renewable) upon the condition that the juridical or factual circumstances of the agreement do not change and the taxpayer fully abides by its provisions. There are no significant taxes associated with the organisation of a private equity fund in Italy, other than filing, registration and annual fees to the competent supervisory authorities. As a general rule, corporate taxpayers who are considered resident in Italy pursuant to the Italian Tax Code, are liable to corporate income tax on their overall income, regardless of its sources (worldwide taxation principle). Management fees are exempt from VAT and subject to Italian corporate income tax in the hands of the SGR. Taxation of carried interest is still a controversial matter in Italy, but, in the event that it is received by the management company, it would be subject to standard Italian corporate income tax. As of November 2018, Italy had entered into approximately 94 DTTs with many foreign countries, both inside and outside the European Union, to avoid double taxation on income and property. These agreements provide for some specific rules governing the tax process of each category of income and, depending on the categories involved, they provide that both countries could tax the same income (concurrent taxation) or the exclusive taxation by one country only. Only foreign investors that are not resident in a WLC may rely on the DTT directly, submitting a request for refund. There are no other significant tax issues specifically related to private equity funds. However, Italian tax rules are very complex and constantly subject to significant changes, so that appropriate tax advice is highly recommended in most cases. The marketing of private equity funds is defined as the direct or indirect offer of interests on the initiative or on behalf of a fund manager, addressed to resident or non-resident investors. Irrespective of whether such investment fund is an Italian or a European-regulated investment fund, such activity requires the prior filing by the fund manager of a notification with Consob, setting forth, inter alia, the business programme of the investment fund, its regulations or articles of association and, for investment funds not reserved for professional investors, the prospectus - and, in certain situations - an express marketing authorisation from Consob and the Bank of Italy. In general, no private placement is allowed for private equity funds, other than a mechanism of reverse solicitation. Notwithstanding the fact that there is no specific reference to the legality of reverse enquiry in the Italian laws, it has long been accepted by Italian scholars and regulators as exempt from public offer rules. An exception to the general principles described above is expressly provided for Italian-authorised fund managers that fall within the AIFMD’s definition of below-the-threshold fund managers and that market units or shares of Italian or European-regulated investment funds reserved for professional investors in Italy: these managers are not required to make any prior notification of their intention to market their private equity funds in Italy. Before the enactment of the non-European passport, and for the time being, there is no alternative private placement process for non-European fund managers. As a result, in order to perform mana­gement and marketing activities in Italy, non-European fund managers are required to establish either an Italian SGR or an authorised European fund manager to notify Consob its intention to market in Italy. Alternatively, non-European fund managers may market in Italy the units or shares only through reverse solicitation as described above. Investors other than those mentioned above, including public sector bodies and private individual investors, may also qualify as professional investors upon request. In such event, the Italian manager should perform an adequate assessment of the expertise, experience and knowledge of the client, based on certain standard tests and criteria. Interests in private equity funds in the retail sector may also be held by retail investors, which are defined by Italian regulations as those investors that are not professional and do not have the specific professional experience, knowledge and expertise to make their personal investment decisions consciously and to properly assess the risks involved in this kind of investment. Investors in private equity funds are not subject to any specific notification or approval from the Italian supervisory authorities. However, the Bank of Italy may request the management company to provide certain information about the investors in connection with its inspections and verifications of the compliance with applicable rules. Any physical or legal person that, for any reason, intends to acquire, directly or indirectly, an interest such as that person could have a significant influence on an Italian fund manager, or an interest that assigns a share of voting rights or capital of at least 10 per cent (by taking into account the shares or units already owned by the acquiring person) is required to notify the Bank of Italy before such acquisition. Advance notice shall be given for any changes in the shareholding of a fund manager when the share of voting rights or capital held directly or indirectly by a person is increased or reduced above or beyond 20, 30 or 50 per cent, and in any event when changes result in the acquisition or loss of control of the Italian fund manager. The Bank of Italy has 60 business days to deny the acquisition (or disposition) of the controlling interest if it considers that the sound and prudent management and financial soundness of the acquisition or disposition target are not fully guaranteed. the time limit has expired. In addition, the Bank of Italy and Consob, specifying the deadline for the response, may require Italian investment companies, asset management companies, SICAVs and SICAFs, to provide the names of the investors on the basis of the investors’ register and other information available to them. 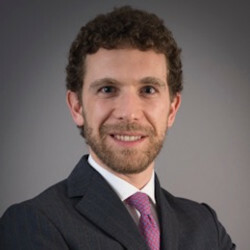 As a general rule, regardless of whether the person marketing private equity fund interests is the fund manager, the offering of interests in investment funds in Italy is a regulated activity, so that any person marketing such interests is required to hold appropriate regulatory permissions or authorisations. Italian private equity funds and their managers are subject to Directive No. 2015/849/EU of the European Parliament and of the Council of 20 May 2015 on the prevention of the use of the financial system for the purpose of money laundering and terrorist financing, implemented in Italy by Decree No. 90 of 25 May 2017, which imposes extensive identification and reporting duties on Italian banks and financial institutions. conducting ongoing monitoring of the business relationship including scrutiny of transactions undertaken throughout the course of that relationship to ensure that the transactions being conducted are consistent with the professional’s knowledge of the investor, the business and risk profile, including, where necessary, the source of funds and ensuring that the documents, data and information held are kept up to date. The financial institutions must report any suspicious transactions and ascertain if the customer is or was politically exposed. On 30 May 2018 a new EU directive on the prevention of the use of the financial system for the purposes of money laundering or terrorist financing was adopted (Directive No. 2018/843/EU), which must be implemented by EU countries by 10 January 2020. It is possible to list interests of FCIs, SICAVs and SICAFs qualifying as AIFs on the market for investment vehicles of the Italian stock exchange created with the scope to provide capital, liquidity and visibility to investment vehicles with a clear strategic private equity vision, provided that the relevant fund complies with the AIFMD and that the fund’s documents expressly allow the listing of the fund’s interests on a regulated market. The minimum free float in connection with the initial public offering must be no less than €25 million. Specific requirements and placement conditions may be imposed by the Italian Stock Exchange Authority, which is the authority responsible for management and supervision of the Italian stock market. The main advantages for the investors of the listing of investment funds’ interests are the broadening of the accessibility to such financial instruments, the (expected) reduction of placement fees and ‘entry fees’ owing to the lack of placement agents and intermediaries and the increase of transparency. The main disadvantage for funds’ sponsors and management entities is the increase of information to be provided to the investors and regulatory authorities. No specific limits to the transfer of interests apply to listed private equity funds. The rules applicable to Italian private equity funds set forth specific limits and restrictions to the investment activity of each investment fund, which are based on the type and legal structure of each investment fund (AIF, open-ended or closed-ended fund) as well as the kind of investors investing therein (professional or retail). Therefore, each type of investment fund is prevented from participating in a private equity transaction if such transaction is not allowed by the applicable legal framework. In addition to the foregoing, Italian and European antitrust provisions provide for further limits to the investment by private equity funds in certain businesses if such investments result in an abusive behaviour or a violation of the market concentration limits. As for the limits with respect to non-European private equity funds and managers, see questions 12 and 24.
being structured so as to prevent or minimise possible conflicts of interest. Compensation policies shall be disclosed to and approved by the shareholders of the fund managers and shall take into account the performance and financial results of the managed investment funds. Generally, a specific corporate body of the fund manager acts as a remuneration committee and is responsible for the structuring of the remuneration policy (consisting in both cash and financial instruments). The above-mentioned limits on fund managers’ compensation and profit-sharing arrangements do not generally apply to managers that fall within the AIFMD’s definition of below-the-threshold fund managers. Despite a situation of considerable instability from an economic and political perspective, Italy is developing a good climate for private equity activity. The year 2018 ranked as one of strongest periods over the past decade for Italian private equity deal activity, in terms of both deal volume and value and fundraising. As described in questions 12 and 24, the forthcoming enactment of the European rules on the management and marketing in EU countries (including Italy) of non-European AIFs as well as the management and marketing in EU countries (including Italy) of investment funds by non-European fund managers are certainly the most significant future developments in this sector. Furthermore, on 12 March 2018, the European Commission issued a proposal for a directive to amend the AIFMD, for the purposes of improving cross-border capital investment flow in the EU through changes to the existing rules on pre-marketing and reverse solicitation. EU member states take differing views on what activities fit within the definition of pre-marketing and whether indeed pre-marketing is permitted at all so that a new EU standard is likely to be adopted in the near future. CP-DL Capolino-Perlingieri & Leone is a boutique-law firm established in 2006 - with offices in Italy and Switzerland - highly focused on private equity.